Dependent on oil production, yet already feeling the effects of a changing climate, the only Arctic state isn't waiting for federal action on climate. Alaska must transition away from fossil fuels, invest more in renewables, and cut back on carbon emissions, according to a draft policy release by the state government last month. The policy is part of an effort by Gov. Bill Walker, a former Republican who was elected as an independent, and it puts Alaska — a solidly red state with an outsized dependence on fossil fuel development — in some unlikely company, including populous and political liberal states such as New York and California. Yet the nation’s only Arctic state is already feeling the effects of a changing climate, as glaciers melt, rivers and coastlines erode and flood, permafrost thaws and oceans acidify. Addressing climate change directly, is “a response to the reality of its existence,” said Lt. Gov. Byron Mallott in an address on Tuesday at the Woodrow Wilson Center in Washington, D.C.
Mallott is heading up a 20-person team convened in October by Walker to compose a new climate action plan for Alaska. The group, which includes representatives ranging from an oil company executive to members of Alaska Native groups, is developing a plan to present to the governor in September. They recently released an early draft, and are seeking public feedback until June 4. Hearing Alaska voices is one thing; creating a climate policy that can attract broad support in the state will be another. Alaska is a major exporter of fossil fuels and 80 to 90 percent of the state’s budget depends upon oil extraction. Both Mallott and Walker, a former oil and gas attorney, have supported oil and gas exploration in the Arctic National Wildlife Refuge, a move that drew criticism from environmentalists. The draft policy does not shy away from Alaska’s oil dependence, admitting that although the resources are exhaustible and responsible for greenhouse-gas emissions, “they also support essential government services and as such our ability to adapt and respond.” That will not change in the near future. However, the draft calls for a 30 percent reduction (from 2005 numbers) in Alaska’s greenhouse gas emissions, and it proposes a 15 percent increase in energy efficiency, with half of the state’s electricity generated from renewable resources — all by 2025. Alaska has significant natural resources, including solar, wind, hydropower and other energy sources. Two years ago, one-third of Alaska’s electricity was already coming from renewable resources. When measuring the United States’ renewable-energy potential, Alaska could provide as much as 40 percent of the country’s potential hydropower from rivers and nearly all of U.S. hydropower from tides (though these are often far from population centers and some proposed large hydropower projects in the state have also drawn opposition based on environmental impacts). “Alaska is cursed with abundant energy sources. We have almost every form,” says Glenn Juday, professor emeritus of forest ecology at the University of Alaska Fairbanks. However, he notes, benefiting from those resources inevitably comes down to cost and environmental tradeoffs. The draft report also proposes using one of those energy sources, natural gas, as a “bridge fuel” to transition away from oil. Burning natural gas does emit greenhouse gases, but less than oil does. Juday points out that, in other places, natural gas has worked well as a short-term energy solution as more renewable resources are developed. 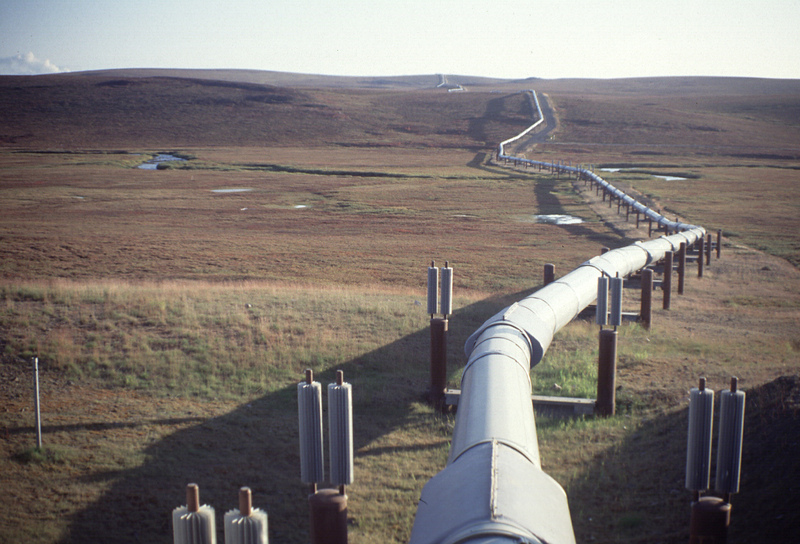 But doing so in Alaska would mean building new pipelines through discontinuous permafrost. The chilled natural gas running through the ground might cause more ice to form in the soil, causing the ground around it to expand and heave — and thus putting the pipeline itself at risk of rupturing. “Unless we have that pipeline, Alaska’s mammoth deposits of natural gas are not going to be playing an important role” in emissions reductions, Juday says. Building such a pipeline has been a central issue for Walker, and in November, he signed an agreement with Chinese investors to take steps toward such a pipeline. On Tuesday, Mallott also emphasized the role of building partnerships around the world, including neighbors like Canada and Russia. In some ways, he said, the stance of the United States government toward climate change mitigation and adaptation has encouraged Alaska to seek out resources and knowledge from other countries. “We need to build partnerships so that what we learn and experience can be understood by others,” he said. “We also need resources — financial resources — in order to be responsive” to rapid changes. Alaska’s draft policy also proposes a carbon fee for fossil-fuel emitters and a resulting dividend program that would support the development of renewable energy sources. Such a program, Mallott said, “will reduce our dependency on petroleum” and lead to increased investment in renewables. “We should be able to see the end of fossil fuel development” in the next 30 years, Mallott said, although he believes that shift will be more market-directed than policy-driven as oil prices shift rapidly. “By way of necessity, we are already on that road,” he added. Mallott acknowledged the importance of the government in reaching out to all of its citizens, but he remains convinced that change will only come from the people.